Many homeowners hire insulation contractors to upgrade their attic insulation, perform air sealing, insulate basement boxsills, and more. 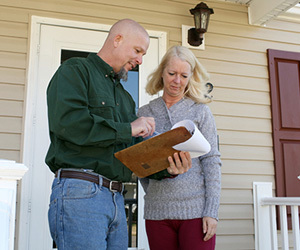 When hiring a contractor, most homeowners follow a few basic steps. These typically include getting a few quotes, asking if the contractors are insured, and checking a few references or online reviews. These are all important steps and all should be followed. If this is where you stop, there is important information you’re not asking for. 1. How are your installers trained? It’s important to know that your insulation contractor trains their installers on proper installation techniques. Installation is a key component to the success of an insulation system. A quality contractor fully trains installers to ensure they are educated on steps for proper installation to help ensure your insulation system performs at its highest level. A quality contractor will also hold regular training sessions to keep crews up-to-date on innovations in building science and to ensure any new installers receive proper training. A quality contractor will provide additional training for crews as well, including safety training and lead-safe work practices. Following proper safety practices help keep installers safe and help ensure an accident won’t happen on your project. If your home was built before 1978, there is a good chance your paint contains lead. Following lead-safe work practices during your project will help contain any dust that contains lead, keeping you and your family safe. 2. How are your installers paid? Hourly or piece rate? When an installer is paid at piece rate, the installer can earn a larger paycheck by installing more footage. The faster they work, they more they make – which can compromise the quality of the install. Not paying attention to details during installation could result in deficiencies in the insulation and could cause damage. A quality contractor is one that pays their installers a respectable hourly rate. This encourages the installer to take their time and get the job done right. Your insulator should support a culture of quality installation rather than speed, and the pay structure is part of that. 3. Does your company have a quality control process? Even if a contractor has a robust training program, problems can arise. Installers may not have the experience to address customer concerns on a jobsite, or installers may encounter a situation for which they need management input. When considering an insulation contractor, find out what kind of quality control process they have in place. A quality control process should have two components. It should provide installer teams with direct access to a supervisor or manager who can answer questions on the spot. It should also involve regular quality assurance checks to review installer work, confirm all installation procedures were properly followed, and to promptly rectifying any issues. Hiring an insulation contractor goes far beyond insulation! Having these systems in place helps ensure you, your family, and your home are in good hands. Take a few moments to ask a potential contractor these questions. Their answers can provide peace of mind by ensuring you are hiring a contractor that you can trust. A quality contractor should be willing to answer these questions and provide satisfactory answers. If a potential contractor is unwilling to answer these questions or doesn’t provide satisfactory answers, considering calling another contractor. Dreading Allergy Season? Air Seal your Home!